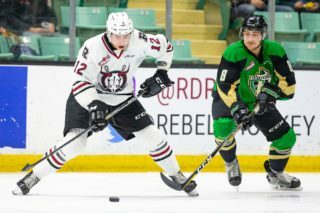 Wednesday’s announcement that Reese Johnson will be the Red Deer Rebels captain next season caught no one within the organization by surprise. Clearly, GM/head coach Brent Sutter sees the veteran forward as the consummate leader and Johnson displayed that with his dogged, take-charge style of play while serving as an assistant captain in 2017-18. 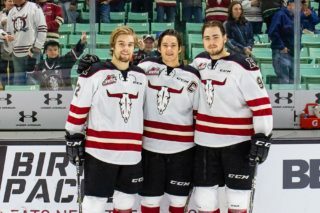 Johnson has indeed been one of the more popular players in the Rebels dressing room and was selected by his teammates as the winner of the Players Award for the 2017-18 season. He was also named — by the coaching staff — as the club’s most under-rated player. Johnson joins a long and impressive list of Rebels official on-ice leaders, including his brother Wyatt, who was named captain in 2015. Normally, Sutter would not have appointed a captain until early next season. “But I just felt it was important to do it now so everyone, all the players, know who their captain is next year,” said the Rebels boss. 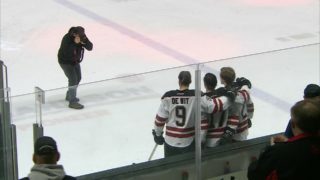 “Reese is going to be communicating with the players during the off season. “They have a lot of respect for him as a leader and he’ll be talking with the players this summer and making sure that they’re staying on top of things (in regard to their training programs). Johnson, who will turn 20 July 10, will lead a team that will be particularly young up front. 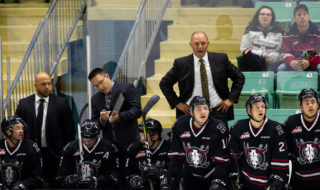 Meanwhile, the Rebels announced Thursday that associate coach Jeff Truitt will not return for a seventh season with the club. “From a GM’s perspective I know what the head coach wants for a coaching staff and to be able to make that work I have to work within the budget we have,” said Sutter. 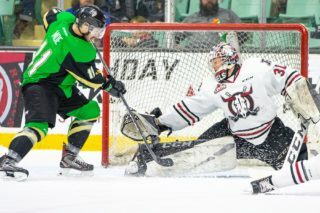 Notable: Outgoing Rebels captain Grayson Pawlenchuk has signed an ECHL contract with the Wichita Thunder, a minor league affiliate of the Edmonton Oilers. The 21-year-old winger will join the Thunder for a pair of season-ending games this weekend against the Colorado Eagles.